Footing First boasts almost 30 years of experience in riding arena planning, construction and footing installation. Their clients span almost every discipline and include notable riders, trainers, competitions, facilities and private and commercial barns. 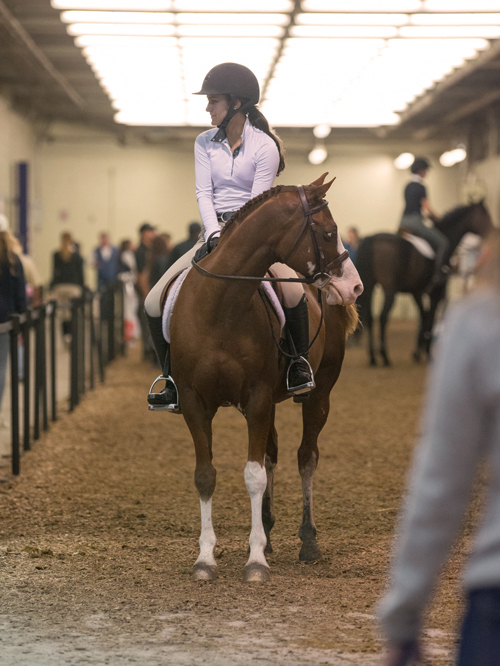 After reviewing the Farm Show Complex Equine Arena, Footing First will be installing “Superior Riding Surface (SRS)” footing based on its excellent traction, stability and cushion and its ability to withstand traffic and impact of a competitive horse show. Established in 1946, the Pennsylvania National Horse Show hosts the country’s top competitors in one of the largest indoor horse shows. Proceeds from the horse show benefit The Pennsylvania National Horse Show Foundation, a 501(c)(3) tax-exempt non-profit organization, providing support for therapeutic riding and equine rescue programs. The Foundation makes grants exclusively for charitable and educational purposes to acquaint, teach and train the public in therapeutic equestrian endeavors and to support equine rescue efforts. Make plans to join us October 11 – 20, 2018 at the Farm Show Complex in Harrisburg, PA. For more information on the show or to donate to the Foundation, please visit www.PAnational.org.